The countdown is on and I have been hectically scrambling to get everything I will need for the next two years purchased, sorted, and eventually packed into my two bags with a combined weight of 100 lbs! 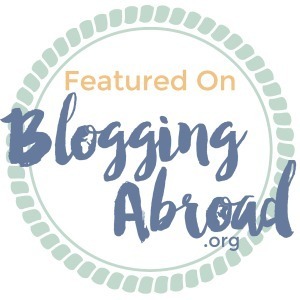 As I have spent much of the last several months researching products, reading Peace Corps blogs and books, spending time with family, and attempting to learn a little Amharic (the official language of Ethiopia), I have had little time for blogging. However, I hope to maintain a blog throughout my service, so make sure you follow along with my experience. Feel free to email or Facebook me while I am away, I would love to hear from you! I may not have regular internet access, so be patient for my response! If you would like to send me a care package or letter, check out my Contact & Wish List Page for my address, mailing guidelines, and suggestions! Since my overseas Peace Corps adventure has yet to begin, I thought I would share some photos from a recent surprise bon voyage party held in my honor. My wonderful parents were able to get countless family, extended family, old high school friends, as well as church family together to surprise me. My journey is off to a wonderful beginning! Thank you to everyone who came to the party, left a letter or gift, and especially to those who traveled from afar to surprise me! I have felt so much love from my community, church family, and family! THANK YOU!!!! All Photos Contributed by Thomas Gossage…Thank you!!! Please do not crop or edit these images. ALL photographs, designs, and text, licensed by Cundiff Creative Photography and Graphic Design and are not to be used for commercial use or modified. License permits others to copy and distribute my work provided you give Cundiff Creative full credit and follow the above specifications. Posted in All of my Entries!, Notable News, Peace Corps, TravelTagged addis ababa, africa, blog, Casey County, creativity, Cundiff Creative, Facebook, Family, Friends, Heather Cundiff, inspiration, journey, Kentucky, Liberty, Peace Corps, Peace Corps Ethiopia, Peace Corps Service, Peace Corps Volunteer, Photography, photos, posts, random, summer, Travel, United StatesBookmark the permalink.